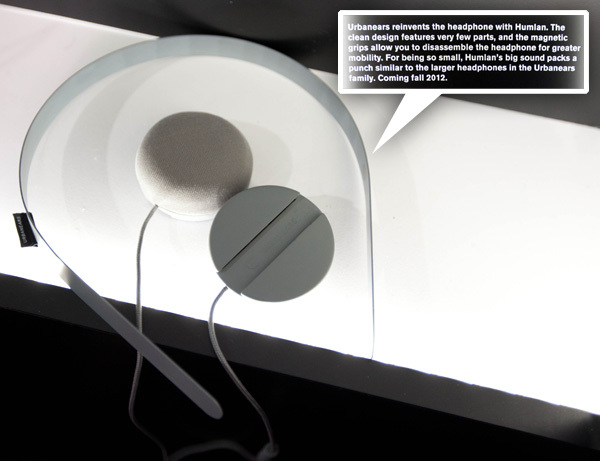 The first new Urbanears headphone design launched at CES this year was the Turncable which i just showed you. Second ~ Humlan! 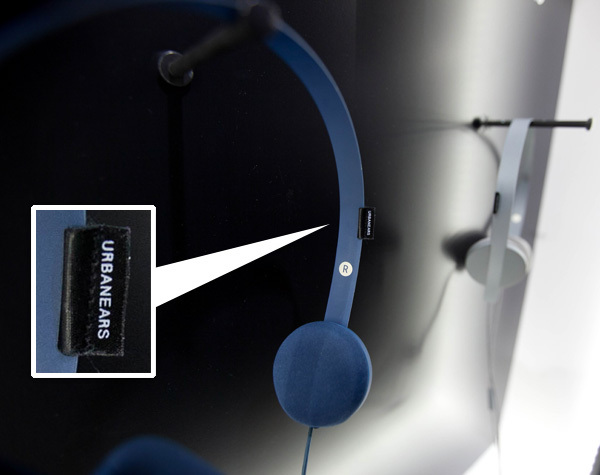 Interesting part of this design… there is a metal headband (love the detail of the urban ears tag actually being cloth sewn through a slit in the metal!) 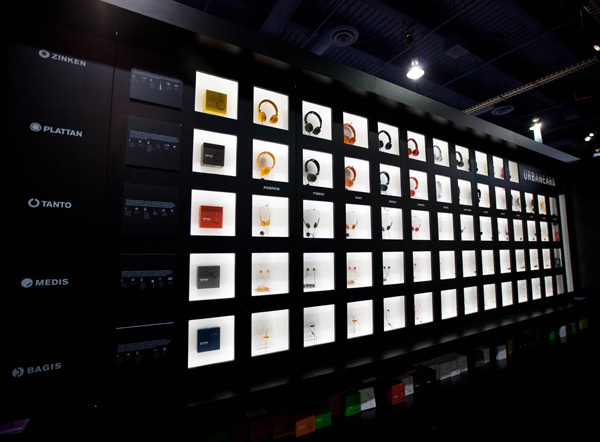 with MAGNETIC ear-speakers? pads? poofs? what would you call them? The simplicity and the satisfaction of feeling them snap into place and slide to adjust feels great ~ and i supposed when not using the headphones, you could even use it as a headband in their rainbow of colors… or even mix and match the usually monochromatic Urbanears. 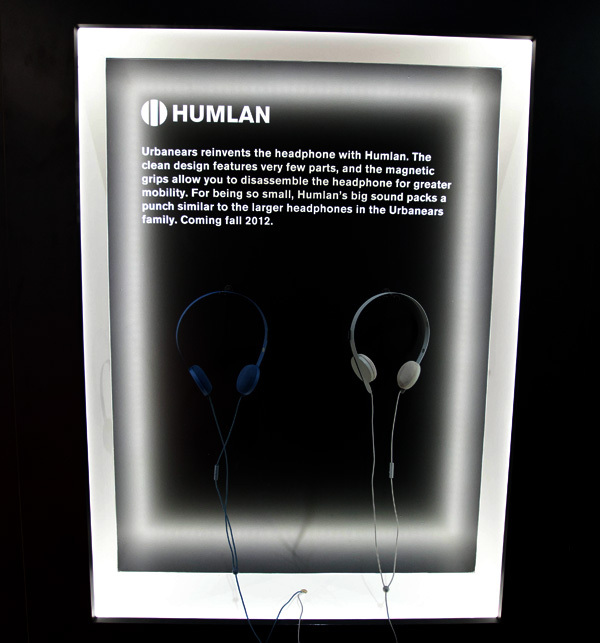 These are launching in fall of 2012! See more pics of the details on the next page!